I have had a busy Holy Week. It’s overwhelming how so many very different things happen at once. That’s true of our spiritual life in general: work, and friends, and medical issues, and liturgy, and all the rest, all at the same messy time. It’s true, too, of the liturgies of Holy Week. Holy Week begins with a strange juxtaposition. More than one person asked me about it this week: what’s going on with Palm Sunday? Even the name is confusing: “Palm Sunday of the Lord’s Passion.” Which one is it? On the one hand, the Mass begins with Jesus’s triumphal entry into Jerusalem. We sing Hosanna. (Hosanna, it turns out, is a Greek twist on a couple Hebrew words: it appears in the Bible only here, as the acclamation when Jesus enters Jerusalem.) We wave our palms. We acclaim the king. And then, by the time the ordinary Mass begins, our Hosannas are forgotten. 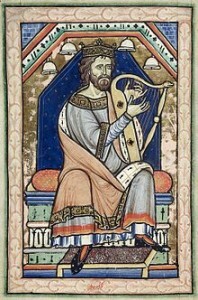 In the first reading, his beard is being plucked. In the second, he is emptying himself, taking the form a slave. 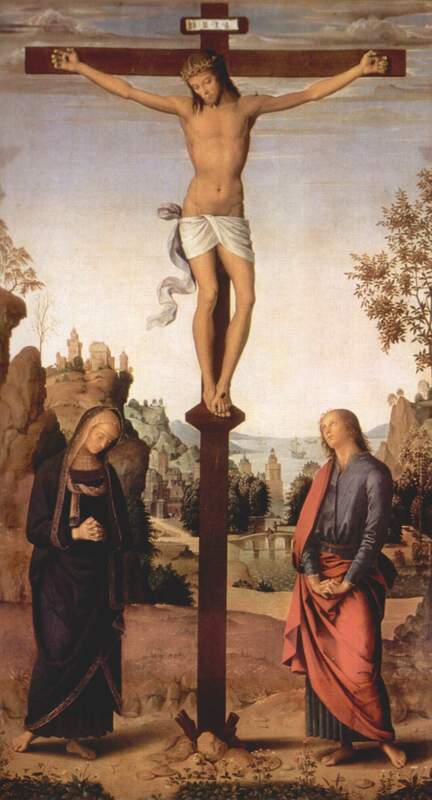 The Psalm cries “why have you abandoned me.” And in the Gospel, we read the Passion in its entirety – already, right at the beginning of Holy Week. Our palms remain awkwardly in our hands, while we are given the voice of a different crowd, crying not Hosanna but Crucify. But that awkwardness, that strange juxtaposition, is just the point. We who wave the palms are the ones who betray him. And he who is crucified is also the king. This is the triumphal entry that he has eagerly expected. It’s all about that juxtaposition – the palms hanging limply in our hands. This year we have another, but paradigmatic, juxtaposition. March 25 is ordinarily the Annunciation, the moment of great joy, when Christ comes into the world. This year it also happened to be Good Friday, dated according to the changing moon. Our celebration of the Annunciation is deferred till after Easter Week – but the juxtapostion is normal. For March 25 is not just nine months before Christmas. We know Christmas is at the solstice, in the bleak midwinter. And it seems just an accident that the Annunciation awkwardly falls so close to Holy Week. But it is not awkward. It is the plan. In fact, the Church settled on March 25 before it settled on December 25. Though we celebrate Easter following the old, lunar calculations for Passover, the traditional date of the Crucifixion was March 25. It is also the traditional date for the creation of Adam, the fall of Lucifer, the sacrifice of Isaac, and the crossing of the Red Sea. These things go together. They are all one. Just as Christ is both king and crucified, and we are the crowd that both acclaims him and betrays him, so this is the time of when Adam is re-created, Satan is defeated, the first-born is sacrified, and the seas of death are conquered. These are not just awkward, accidental juxtapositions. It all goes together. That’s the point. Many years ago, some half-Christian family bought us a strange cross. Though it is the shape of the instrument of torture, on it are happy scenes from the life of Christ. Another awkward juxtaposition. Is he the Lord of happiness or the Lord of the Cross? Here, the liturgical calendar has to de-juxtapose. On one level, the liturgical year simply comes down to the problem of reading the long Bible. It would be nice to read the whole Bible everyday. It all goes together. And it’s all important – we are not a religion of the 3×5 notecard, where everything can be said in a few words. The Bible is long, because there is a lot to say. On some level, Holy Week is simply the time when we read this central passage. In fact, we read it a few ways. On Palm Sunday we read from the Synoptic Gospels, whichever Gospel we are reading that year. On Good Friday, we read from St. John. And we need those two accounts; they are different; they are richer in juxtaposition. John is like a commentary on the other Gospels – they tell us of the Eucharist, he tells us of the feet washing, etc. Liturgically, we can’t read it all every day, so we break it up. 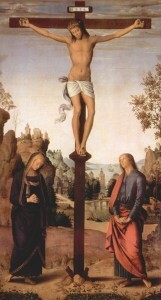 But that crucifix we were given has sort of the right idea: the one who dies on Good Friday – yes and the one who rises again early on the morning of the third day – is the one, too, who healed the lepers, taught with parables, came to Cana in Galilee; the one who oversaw Noah and Abraham, David and Solomon, Ezra, the Maccabees, and the prophets of the exile. In the thickness of the Bible, and the complexities of the liturgical year, we see the rich juxtaposition that makes up the whole of the Christian faith. What parts of the faith do you find most hard to reconcile with one another? Can you learn anything by thinking about that juxtaposition? Today we read the final section of Cardinal Sarah’s article on liturgy. Here he discusses Pope Benedict’s grand idea of “the hermeneutic of continuity.” A hermeneutic is how you read things, the assumptions you bring to a text. Too often both conservatives and liberals bring to Vatican II a “hermeneutic of rupture,” an assumption that it was a break with the past, not a rediscovery of the tradition. But even worse, and more common today, both conservatives and liberals bring this “hermeneutic of rupture” to the liturgical reform Vatican II gave us (derisively labeled Novus Ordo, to make it sound Masonic) – something that Popes St. John Paul II and Benedict always warned us to avoid. At the service of true participation, the Council called for better understanding of the rites. Cardinal Sarah glosses this with the idea that true understanding has always been the understanding of faith and love. The Council called for the liturgy to be an instrument of evangelization – but that does not mean dumbing it down, it means lifting it up. Non-Christians should not feel at home in the liturgy – they should feel called to discover our true heavenly home, in which the liturgy participates. Finally, Benedict famously allowed a freer use of the usus antiquior, the Mass as it was before Vatican II. But again, conservatives and traditionalists have overwhelmingly betrayed Benedict’s insight by reading this move with a “hermeneutic of rupture,” as if the point is to pit one form of the Mass against the other. Cardinal Sarah warns both sides against this rupture. Rather, we must rediscover the one Roman Rite, brilliantly renewed by the call of the Council. 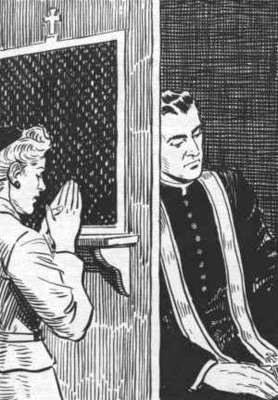 To this end he suggests one more fine practical detail – perhaps in the future the revised rite will allow an option for the penitential rite or the offertory as they were before the Council: these are the two parts of the Mass that were most changed. The point is, the revised prayers are not in opposition to the old; they go together. The liturgy is a fundamentally mystical and contemplative reality, and thus beyond the reach of our human action; even participatio is a grace from God. It presupposes on our part openness to the mystery being celebrated. For this reason the Constitution encourages full understanding of the rites (cf. §34) and at the same time prescribes that “the faithful…be able to say or to sing together in Latin those parts of the Ordinary of the Mass which pertain to them” (§54). In reality, an understanding of the rites is not achieved by human reason left to itself, as if it could grasp everything, understand everything, master everything. An understanding of the sacred rites is the fruit of the sensus fidei, which exercises living faith through symbol and understands more by affinity than by concept. Such understanding presupposes that one draws near to the mystery with humility. But will we have the courage to follow the Council all the way to this point? Yet it is only such a reading, illumined by faith, which constitutes the foundation for evangelization. Indeed, “the liturgy… shows forth the Church to those who are outside as a sign lifted up among the nations, under which the scattered children of God may be gathered together” (§2). It must cease to be a place of disobedience to the prescriptions of the Church. More specifically, the liturgy cannot be an occasion for divisions among Christians. Dialectical readings of Sacrosanctum Concilium, or the hermeneutics of rupture in one sense or another, are not the fruit of a spirit of faith. The Council did not intend to break from the liturgical forms inherited from tradition – indeed, it desired to deepen them. The Constitution establishes that “any new forms adopted should in some way grow organically from forms already existing” (§23). In this sense, it is necessary that those who celebrate according to the usus antiquior do so without a spirit of opposition, and thus in the spirit of Sacrosanctum Concilium. By the same token, it would be a mistake to consider the extraordinary form of the Roman Rite as deriving from a different theology than that of the reformed liturgy. And one could hope that a future edition of the Missal might include the penitential rite and the offertory of the usus antiquior, so as to underscore the fact that the two liturgical forms shed light one upon the other, in continuity and without opposition. 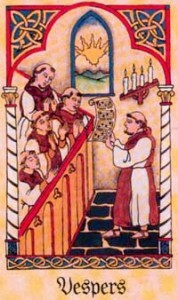 If we live in this spirit, the liturgy will cease to be the locus of rivalries and criticisms, and we will be brought at last to participate actively in that liturgy “which is celebrated in the holy city of Jerusalem toward which we journey as pilgrims, where Christ is sitting at the right hand of God, a minister of the holies and of the true tabernacle” (§8). Today we read the third, penultimate section of Cardinal Sarah’s wonderful article on the liturgy. Again he calls us to hear the true teaching of Vatican II, according to which liturgy is “above all things the worship of the divine majesty.” What does it mean to worship? Cardinal Sarah gives a fine encapsulation of Ratzinger’s teaching on the golden calf: the problem was not just the idol, but the people’s insistence that liturgy revolve around their interests, rather than worship of God. The Cardinal adds some concrete ideas on preaching (let it talk about God, not just about us), the sanctuary (let it look holy in the first place, and let its holiness be preserved by the way we approach it), and readers (let them be dressed as if they were performing a sacred function). But always, he keeps these practical issues subject to the bigger liturgical vision of true participation in the liturgy. We run the real risk of leaving no room for God in our celebrations, falling into the temptation of the Israelites in the desert. They sought to create a cult of worship limited to their own measure and reach, and let us not forget that they ended up prostrate before the idol of the golden calf. The hour has come to listen to the Council. The liturgy is “above all things the worship of the divine majesty” (§33). It can form and teach us only insofar as it is completely ordered to divine worship and the glorification of God. The liturgy truly places us in the presence of divine transcendence. True participation means the renewal in us of that “amazement” that St. John Paul II held in such high regard (cf. 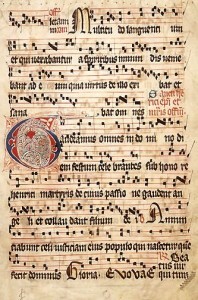 Ecclesia de Eucharistia, §6). This sacred amazement, this joyous reverence, requires our silence before the divine majesty. We often forget that sacred silence is one of the means indicated by the Council to foster participation. If the liturgy is the work of Christ, is it necessary for the celebrant to interject his own comments? We must remember that when the Missal authorizes commentary, this must not become a worldly, human discourse, a more or less subtle pronouncement on current events, or a banal greeting to those present, but rather a very brief exhortation to enter into the mystery (cf. General Introduction of the Roman Missal, §50). As for the homily, it too is a liturgical act which has its own rules. The participatio actuosa in the work of Christ presupposes that one leaves behind the profane world in order to enter into “sacred action surpassing all others” (Sacrosanctum Concilium, §7). In fact, “we claim somewhat arrogantly to remain in the human sphere so as to enter into the divine” (Robert Sarah, God or Nothing, Ignatius Press, Chapter IV). In this sense it is deplorable that the sanctuary in our churches is not strictly reserved for divine worship, that people enter it in worldly garb, that the sacred space is not clearly delineated by the architecture. And since, as the Council teaches, Christ is present in his word when it is proclaimed, it is equally harmful when readers are not dressed in a way that shows they are pronouncing not human words, but the Word of God. Today we continue our reading of Cardinal Sarah’s explanation of the liturgy. In this second part of his article, the Cardinal continues his discussion of true “participation” in the liturgy by discussing the direction we face. This is the finest thing I’ve read on an important topic. Liturgy fans like to talk about “ad orientem” liturgy: when the priest, perhaps with his “back toward the people,” faces the same direction as the people. This is an important issues, but there are many confusions. First is the question of building churches that face east, also an important issue, but a different one; the priest can face the same direction as the people, or face the people, whether or not the Church faces east. Second is the distinction of different parts of the Mass. Sometimes it is appropriate for the priest to face the people: Vatican II did not “turn the altars” around, but one of its most important insights is that the ambo, from which Scripture is read, did need to be turned toward the people. Ratzinger is strong on this point, but Cardinal Sarah’s brief statement here is even stronger. Finally, there is the question of the goal. Ultimately, liturgy is not primarily about externals; sometimes we get so caught up arguing which direction the priest faces that we forget to lift up our hearts to the Lord. Again, Cardinal Sarah’s formulation is fabulous: face-to-face leads to tete-a-tete leads to heart-to-heart. Externals matter – when they help us internally. And so this section concludes with a fine quotation from Thomas Merton, not on liturgy wars, but on recollection. Liturgical participatio must therefore be understood as a grace from Christ who “always associates the Church with himself” (Sacrosanctum Concilium, 7). It is he who takes the initiative, who has primacy. The Church “calls to her Lord, and through Him offers worship to the Eternal Father” (§7). The priest must thus become this instrument that allows Christ to shine through. As our Holy Father Pope Francis recently recalled, the celebrant is not the host of a show, he must not seek the affirmation of the assembly, standing before them as if they were called to enter into dialogue primarily with him. To enter into the spirit of the Council means—on the contrary—to efface oneself, to renounce the spotlight. 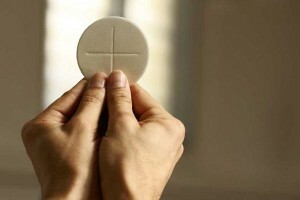 Contrary to what has sometimes been maintained, it is in full conformity with the conciliar Constitution—indeed, it is entirely fitting—for everyone, priest and congregation, to turn together to the East during the penitential rite, the singing of the Gloria, the orations, and the Eucharistic prayer, in order to express the desire to participate in the work of worship and redemption accomplished by Christ. This practice could well be established in cathedrals, where liturgical life must be exemplary (cf. §41). Of course it is understood that there are other parts of the Mass in which the priest, acting in persona Christi Capitis, enters into nuptial dialogue with the assembly. But this face-to-face has no other purpose than to lead to a tete-à-tete with God, which, through the grace of the Holy Spirit, will become a heart-to-heart. The Council thus proposes additional means to favor participation: “acclamations, responses, psalmody, antiphons and songs, as well as…actions, gestures, and bodily attitudes” (§30). A hasty and all-too-human reading of the Constitution has led to the conclusion that the faithful must be kept constantly busy. The contemporary Western way of thinking, shaped by technology and dazzled by the media, has wished to turn the liturgy into a lucrative production. In this spirit, many have tried to make the celebrations festive. Prompted by pastoral motives, liturgical ministers sometimes stage celebrations into which elements of worldly entertainment are introduced. Have we not witnessed a proliferation of testimonials, acts, and applause? It is imagined that this will foster the participation of the faithful, when in fact it reduces the liturgy to a human plaything. “Silence is not a virtue, noise is not a sin, it is true,” says Thomas Merton, “but the turmoil and confusion and constant noise of modern society [or of some African Eucharistic liturgies] are the expression of the ambiance of its greatest sins—its godlessness, its despair. A world of propaganda, of endless argument, vituperation, criticism, or simply of chatter, is a world without anything to live for…. Mass becomes racket and confusion; prayers—an exterior or interior noise” (Thomas Merton, The Sign of Jonas [San Diego: Harcourt, Inc., 1953, 1981], passim). A student recently brought to my attention a fabulous article published in June in the Vatican’s official newspaper, L’Osservatore Romano, by Cardinal Robert Sarah. In the next few days I will repost it here in full. I share this article first of all to share the best short piece I have ever read on the liturgy. This is phenomenal, and key to the vision we are trying to cultivate on this web page. I share it also to bring your attention to Robert Cardinal Sarah. As Benedict’s point man for Catholic charities, he did important things to cultivate the union of faith and action that is so fundamental to true Catholicism – and in so much need of recovery. At last year’s Synod he was one of the most powerful and thoughtful voices in witness of Christian marriage. And now as Pope Francis’s appointee to oversee the liturgy, he gives us the very best on that topic. Above all, we should try to live this vision of the liturgy. 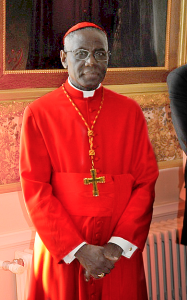 But we might also pray that this great African pastor may be our next Holy Father – perhaps as Gregory XVII? The first thing I love about this article is Cardinal Sarah’s insistence that we actually read Vatican II’s fabulous Constitution on the Sacred Liturgy, Sacrosanctum Concilium, which liberals and conservatives alike ignore based on wrong assumptions. FIFTY YEARS AFTER its promulgation by Pope Paul VI, will the Second Vatican Council’s Constitution on the Sacred Liturgy finally be read? 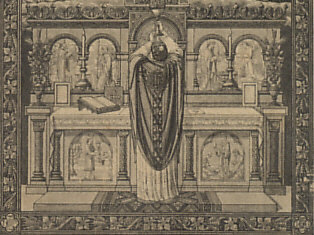 Sacrosanctum Concilium is not in fact a simple catalogue of “recipes” for reform, but a true and proper Magna Carta for all liturgical action. In that Constitution, the Ecumenical Council gives us a masterful lesson in methodology. Far from contenting itself with a disciplinary and external approach to the liturgy, the Council summons us to contemplate the liturgy in its essence. The Church’s practice always flows from what she receives and contemplates from Revelation. Pastoral practice cannot be divorced from doctrine. In the Church, “action is directed to contemplation” (cf. §2). The conciliar Constitution invites us to rediscover the Trinitarian origin of the work of the liturgy. Indeed, the Council affirms continuity between the mission of Christ the Redeemer and the liturgical mission of the Church. “Just as Christ was sent by the Father, so also he sent the apostles,” so that “by means of sacrifice and sacraments, around which the entire liturgical life revolves” they might “accomplish the work of salvation” (§6). The liturgy in action is thus none other than the work of Christ in action. The liturgy is in its essence actio Christi: “the work of Christ the Lord in redeeming mankind and giving perfect glory to God” (§5). He is the high priest, the true subject, the true protagonist of the liturgy (cf. §7). If this vital principle is not embraced in faith, one risks reducing the liturgy to a human action, to the community’s celebration of itself. On the contrary, the true work of the Church consists in entering into the action of Christ, participating intimately in the mission he has received from the Father. Thus “the fullness of divine worship was given to us,” because “his humanity, united with the person of the Word, was the instrument of our salvation” (§5). The Church, the Body of Christ, must in turn become an instrument in the hands of the Word. This is the ultimate meaning of the key concept of the conciliar Constitution, participatio actuosa. For the Church, this participation consists in becoming an instrument of Christ the Priest, so as to participate in his Trinitarian mission. The Church participates actively in the liturgical work of Christ insofar as she is his instrument. In this sense, language about the “celebrating community” can carry a degree of ambiguity requiring true caution (cf. the Instruction Redemptoris sacramentum, §42). Participatio actuosa must not be understood, therefore, as the need to do something. On this point the teaching of the Council has often been distorted. It is a question, rather, of allowing Christ to take hold of us and to associate us with his sacrifice. If I could ask for one great pastoral initiative (especially from the Friars Preachers), it would be sung Vespers, with benediction and good preaching, and a priest in the confessional the whole time. This idea especially struck me on a recent vacation, in a parish with pretty bad liturgy and preaching. What strikes me, first, is that the problem is more a lack than any positive evil. This is a disputable point, but this is how it seems to me. Yes, yes, there are many evils taught in our society. But the key point is, people don’t know what prayer is, what liturgy is, what the Gospel is, or what Catholicism is really about. They need someone to show them. Fixing parishes is a huge problem. It requires a huge work of priestly education – a work many of us are involved in (I teach in a seminary – and perhaps you just support your priests), but it will take a long time (since the men we educate now will not be pastors for a long time) and a huge cooperation (since none of us alone can change everyone). But even good pastors are up against hugely complicated parish situations, with all the complications of hundreds of malformed parishioners. These are things we should work on – but the danger is that, seeing such a huge work, we are tempted to give up and do nothing. We should all do our best to improve Sunday Mass, but honestly, most of the work has to happen somewhere else. That’s why I propose Evening Prayer, Vespers. It doesn’t have to involve all the parishioners. Lay people can go to Vespers at a different church from their parish, and come back refreshed to renew their parish. Priests, or even lay people, can lead vespers even if they are not pastors. Another danger is trying to convert everyone at once. Often it means watering things down, to try to win people who aren’t much inclined to be won. To the contrary, I think we can do a lot more by supporting those who are actively seeking. If people want to pray, if they want good preaching, if they want to go deeper, give them the opportunity. Rather than watering things down so that no one will be much converted, we need to help create the saints who can be real apostles – to their neighbors, to their family, to their coworkers. And if those apostles get people interested, we need to have somewhere good to bring them. But we don’t want to take people out of their parishes. We need those apostles everywhere. They are the force for renewal in parishes. One danger is that we can form separatist parishes, so that everyone serious about their faith leaves behind the parishes and pastors that so desperately need them – and think of the need: yes, there are a lot of confused people in those parishes, but they are interested enough to get there on Sunday morning. This is fertile ground. We need apostles in the parishes. Another danger is that we nurture a spirituality that has nothing to do with Sunday Mass. The first problem with this is for those we preach to: Sunday Mass is the source and summit of our faith; we need to teach people to benefit from it, not lead them away. The second problem is for the other people at Sunday Mass: what the parish needs most is people who can show what Sunday Mass is all about. To nurture parish apostles, we need to teach people how to pray Sunday Mass better. The Liturgy of the Hours is a great way to do that. Show people what real liturgical prayer is about. Nurture their liturgical spirituality. With adoration and benediction, teach them to long for the Eucharist. With the Psalms, teach them to cling to the words of Scripture. With good preaching, teach them what everything else is really about – teach them how to listen to Scripture at Mass, how to sort out the good points in the often confused homilies, to receive the Eucharist with the fervor it deserves. My proposal can be broken into parts. I would be happy if priests just sat in the confessional, without preaching, vespers, benediction, or good music. We can pray the liturgy of the hours even without priests, in our homes and communities, with or without serious liturgical music. And we can preach elsewhere – this web site is one effort to preach the Gospel outside the liturgy. But wouldn’t it be better if communities could form around all of these things at once? Vespers Sunday evening, or midweek. Morning Prayer for mothers. All done well, prayerfully, beautifully, with serious preaching, and confession, and benediction. Liturgy will save the world. What elements of this plan could you implement? What alternatives can you suggest? Everyone seems to be confused about the liturgy these days. Con-fused literally means fused together; to be confused is to mix up things that are not the same. The classic image is throwing out the baby with the bath water. It is confusion because you don’t realize that the baby is something very different from the bath water. It is a problem because bath water needs to be thrown out, and babies need to not be thrown out. You probably recognize “liberal” confusions with the liturgy—though sometimes we do well to state the obvious. Some people think that if liturgy “accommodates” us by being in our language, it should accommodate us by changing the message spoken in that language—by replacing the Gospel of Jesus Christ with something more modern. But those are not the same things. In fact, they are opposite things: the liturgy is translated so that we can hear the original Gospel, not so that we can replace it. Some people think if the liturgy changes at all, then everything should change. But there are things that can change and things that can’t change. That Christ is Lord, that he comes to us in the Eucharist, that he speaks to us in Scripture, that we fully find him only in the Church: these things don’t change. What reading we read on which day, what language it is in, etc., have always varied, through time and place. Don’t throw the baby out with the bathwater. These are different kinds of change, different things. But “conservatives” are often confused about liturgy too. Today the liturgy is often banal; therefore, many say, the way to be sacred is to go back to the Tridentine Missal. This confuses all sorts of issues. Granted that modern liturgy is often very bad – I grant that – what about it is bad? Is it that it’s in the vernacular? That some of the the prayers have changed? What precisely is the problem? Here’s my thesis: the real problem has nothing to do with the Vatican II Missal, nothing to do with English, nothing to do with a whole lot of things that people confuse. The central problem (as St. Pius X pointed out at the beginning of his pontificate, over a hundred years ago) is bad music. I could say things about the texts of our hymns. But here, that’s not my point. I mean the music, the tunes. “[Little] Lamb of God [isn’t he cute? ], you take away the sins of the world!” “[Bleeding, sacrificial: raise your eyebrows] Lamb of God, you take away the SINS of the [evil] world.” “[Bored mumble:] Lamb of God . . .” etc. The way you say something has an awful lot to do with what the words mean. That’s the biggest reason music really matters. A very little theory. Modern music is almost exclusively in what we call “major” and “minor” keys. Major keys are – take my word on this – rooted in mathematics. They sound pleasant because in fact they resonate with themselves – we’re talking the wave lengths of vibrations. Dissonance sounds harsh not just because of culture, but because the waves that carry sound are jarring against one another. Major keys sound nice because they are nice. It resolves to something genuinely peaceful. This is physics, and the musicians of the ancient world knew it. Minor keys are more complicated – and thus a little more jarring – but fundamentally mimic major keys. Here’s the interesting thing: until the modern period, almost every major musical system, worldwide, explicitly banned these simple, pleasant keys precisely because they’re so pleasant, such easy listening. They lull you to sleep, make you feel too comfortable, don’t stimulate you or make you think. 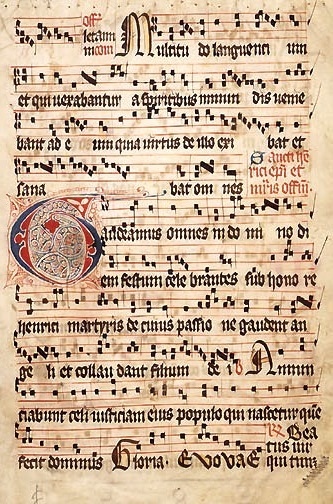 The theory of Gregorian chant is complicated, but, seriously, here’s the most basic rule: you’re never allowed to sing in major or minor keys. The music is supposed to be more challenging, more stimulating than that. Now, the issue is complicated because in the early modern period, musical geniuses like Bach started doing really complicated things: counterpoint, harmonization, and lots of key changes and chromaticism. Because the music was so complicated, they resorted to the simple keys: major and minor. But they only used those keys because they were doing such complicated things with them. The biggest problem in liturgy today is that we sing our Psalms at Mass, and all of our hymns, in musical keys that lull us to sleep, pat us on the head, tell us to be comfortable and complacent at just the moments we ought to be called out of ourselves into the mysteries of faith. There are plenty of problems with our texts, but first of all, musically, we are putting our souls to sleep. Jesus is just our cuddly little lamb. Fix this one problem – first, by singing the Psalms in serious tones, then by reintroducing serious hymns, whether the old major-key ones with serious harmonization, or even by setting your favorite texts to old Gregorian tunes (any halfway serious church musician knows how to do this) – and you have solved the banality of the modern liturgy, without getting into Latin, the Tridentine rite, bad lighting, girl altar boys, ad orientem, or any of the host of issues that get confused in most conversations about the Mass. Listen to the Psalm tone next Sunday. Does it urge you to meditate on the mysteries of God – or just make you feel comfortable and complacent? 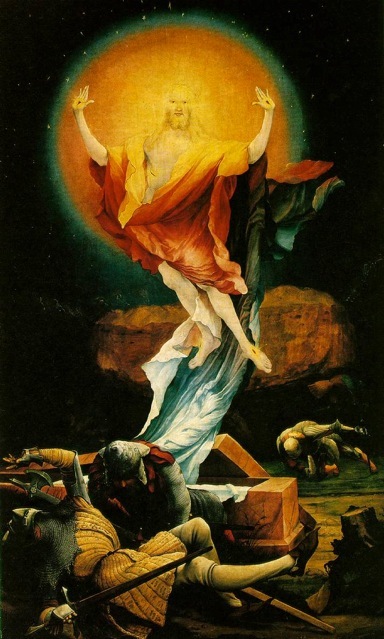 The heart of Easter, of course, is the reading of the Gospel accounts of Christ’s resurrection – or rather, the impact of that resurrection on those who discovered it. But what does it mean? What do we discover when we discover the Resurrection of Christ? We can perhaps better understand Easter if we understand that, in another sense, the heart of Easter is Baptism. Historically, that is the reason for the celebration. In the early Church, every Sunday celebrated the Resurrection – but Easter (originally tied more to Passover) became the time to baptize catechumens. We noted at the beginning of Lent that the pre-Easter season, too, was originally about the catechumens. In the Middle Ages a strange thing happened: the Easter Vigil withered away, and gradually became a sort of liturgical odd duck on Holy Saturday morning. The reason, again, seems to have been the catechumens – once there was no one to baptize, Easter Vigil lost its original significance, though Easter was still celebrated as, by now, the center of the cycle of Christ’s mysteries. The Easter Vigil was restored to Saturday night only recently, by Pope Pius XII, in 1951 – both as part of a rediscovery of liturgical spirituality, and as a rediscovery of the catechumenate. Though the Gospel is central, as Christ is radically central, the interpretive key to Easter is in the New Testament readings. Absolutely essential to Paul’s understanding of the Paschal mystery – at the very center, in fact, of Christianity itself – is what Augustine calls the “two resurrections.” There is the resurrection of the body – but also the resurrection of the soul. Christ promises to raise up our body, yes – but far more important, far more central, is that he raises up our soul, from death in sin, to life in Christ. The Epistle for Easter morning, from Colossians, repeats the same theme: “If you have been raised with Christ” – in the soul, by Baptism, though we have not yet risen bodily from the dead – “seek the things that are above, where Christ is, seated at the right hand of God. . . for you have died, and your life is hidden with Christ in God.” No, we have not yet received the resurrection of the body – but we have received the resurrection of the soul. That is the joy of Easter: we find that God has the power to raise up, not only our bodies, but our sinful souls. The readings at the Vigil all attest to this great reality. They go through salvation history, yes, but they speak above all about the resurrection that Christ will bring to our souls. This is most clear in the later readings, from the prophets. The seventh, Ezekiel, says, “I will sprinkle clean water upon you, and you shall be clean from all your uncleanness, and from all your idols I will cleanse you. A new heart I will give you, and a new spirit I will put within you.” The waters of Baptism give new life to the soul. The sixth, from Baruch, says, “O Israel, why is it that you are in the land of your enemies?” Why do we dwell in death? “Learn where there is wisdom, where there is strength, where there is understanding.” Find conversion in Christ: this is the message of Baptism and repentance. In the fifth, Isaiah asks: “Why do you spend your money for that which is not bread, and your labour for that which does not satisfy?” The solution is not a deeper focus on the body – that is what is crucified – but, “Listen carefully to me, and eat what is good.” Catechumen, be converted by God’s holy Word! Renounce the empty promises! And in the fourth, Isaiah says, “For a brief moment I abandoned you, but with great compassion I will gather you,” likening their situation to Noah and the flood. We have been abandoned to sin and death – but Christ rescues us, by conversion: “All your children shall be taught by the Lord, and great shall be the prosperity of your children. In righteousness you shall be established.” Not only in bodily life, but in the life of the soul. The first three, more narrative readings teach the same things. Creation culminates in the image of God, and God’s blessing of man. God did not only make our bodies, he made our souls. God who can lift up the body can lift up our souls as well. At the sacrifice of Isaac, Abraham says, “The Lord will provide.” Abraham has absolute trust in God’s provision for him – and lives the coresponding life of conversion. And in Exodus, “the Israelites walked on dry ground through the sea,” as we walk through Baptism, “the waters forming a wall for them on their right and on their left. Thus the Lord saved Israel that day from the Egyptians,” as he saves us from sin. In what areas do you doubt God’s power to bring resurrection to your soul? As we enter into the symbols of the Psalms, this week let us take a few minutes to discover the “tabernacle” they are discussing, the heart of the prayer world of the Old Testament, and the ultimate symbol of the prayer world of the New. “Tabernacle,” of course, is the word for “tent.” But it is specifically used for the tent, described beginning in Exodus, that would be the principle place of Israel’s worship. We now use tabernacle to describe where the Eucharist is kept, but that usage is relatively recent. As late as the sixteenth century, it was more typically called the “sacrarium.” It is interesting, then, to see the Tradition so intentionally in embracing the language of the Old Testament: it is supposed to be an explicit reference to the Psalms. God dictated the construction and liturgy of the Tabernacle in the second half of Exodus (also Leviticus). When Solomon built the Temple in Jerusalem, it was to the same specifications as the previous Tabernacle; all that changed was that it was no longer moveable, and thus no longer built of moveable materials. Both the Tabernacle and the Temple had the congregation and priests facing west. Ratzinger’s liturgical writings have brought a renewed discussion of ad orientem worship, the Christian practice of facing the rising sun. But the Old Testament worship faced the setting sun. This is more dramatic considering that the Temple was in the northeastern part of Jerusalem. It would be more practical for people to approach from the West – but it was important to them to have the worshippers face west. It is dramatic to imagine that experience of orientation: of standing outside, with the sun rising at their back, and then looking into the evening. Worship in the Temple was dramatic. Sometimes to moderns it seems obscure to talk about the relationship between the sun and our worship. But for the Israelites, natural symbols like this were a vivid part of worship. In this environment how could you not think of the sun as a symbol? How could you not think that Israel’s worship was bound up with the passing away of the world, as you looked into the sunset? Outside the central building of the Temple, in the courtyard to the east, was a great altar, on which sacrifices were burned. There were three principle forms of sacrifice. A holocaust, or burnt offering, was entirely consumed in the flame: a sign that God alone is to be worshipped. The animals sacrificed were all animals worshipped by neighboring religions. Here they were offered in the fire, as a sign that God alone is to be worshipped. Imagine the drama! A second kind of sacrifice was the thank offering, or free will offering. These were freely chosen, something given to God as a sign of gratitude. Because this was a celebratory offering, some was kept for a picnic for the worshippers. Other parts were given to the priests, as a sign of worship being offered in union with the temple. The central parts, the fat and the blood, were offered in the fire. And the third kind of sacrifice was the sin offering. An animal was offered as a sign of a sin committed: a vivid experience of our sin being consumed by worship. Here, some was burned and some was offered to the priests, as a reminder that we are reconciled through our participation in the Temple. But none was taken for the worshippers to eat: we do not celebrate our sin. Finally, there were special provisions made for the poor, so that those who could not afford to offer precious animals could still bring a sacrifice to the Temple. They offered wheat or pigeons: because pigeons were very easy to come by. This is a very minimal introduction to Temple worship. Let it simply introduce us to the way of worship of the Old Testament. It was intensely communal: true worship binds us together into the people of worship. The truest image of the Church is found in the people of Israel coming together to worship in the Temple. It was intensely symbolic – and human. True worship does not leave our humanity behind, but draws it in. The symbols were meant to make worship more real – just as, in the sacraments, we come to God not through vague disembodied aspirations, but through our physical, human gestures. The worship of Israel ended with Jesus, in whom it was fulfilled. But it is a reminder of how intensely human, and how intensely God-focused, our worship is meant to be. Let us love God’s holy Tabernacle! How could your prayer better draw in your humanity?